Lead songwriter and vocalist of the now reunited Pixies, Frank Black was born Charles Michael Kittridge Thompson IV. 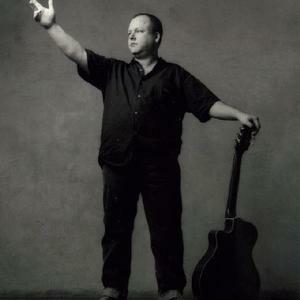 After the 1992 breakup of Pixies, Frank Black adopted a reversal of his former alias, Black Francis, and embarked on his solo career with the debut of his 1993 self-titled album, Frank Black - which contains his biggest rock radio hit, Los Angeles (#4 US Modern Rock), followed a year later by the critically acclaimed Teenager of the Year. Frank Black's solo career covers a much more diverse range of styles and genres compared to his time with The Pixies. His works have feature a much more melodic touch, yet his lyrics are still often spiced with his quirky and inventive touch. Frank Black regularly posts and responds to questions on the forums of his official fan site, frankblack.net, under the alias "frnck blck". He began recording and touring as Black Francis in 2007, with the album Bluefinger, an album about the late Dutch musician and painter Herman Brood, and the mini album Svn Fngrs in 2008. On this tour he abandoned encores in favour of precores; a free mini gig at a public location earlier in the day. The gigs proper featured only recent songs, the precores being more flexible.